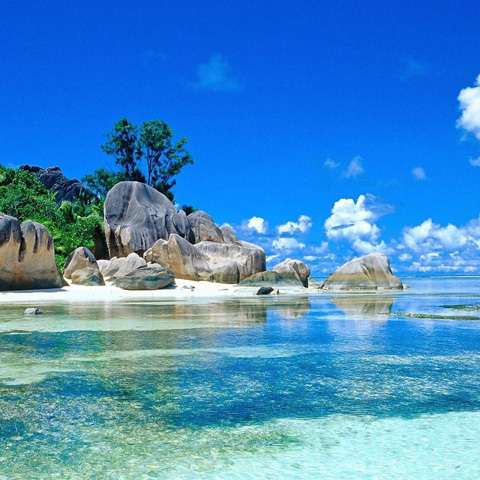 The fourth-largest island in Seychelles, La Digue marches to a delightfully different drumbeat. This laid-back spot only recently saw the first motor vehicles arrive – most people still get around its narrow lanes and tracks by bicycle. First occupied in 1798 by early French settlers, you could be forgiven for thinking that not much has changed in the centuries since then. 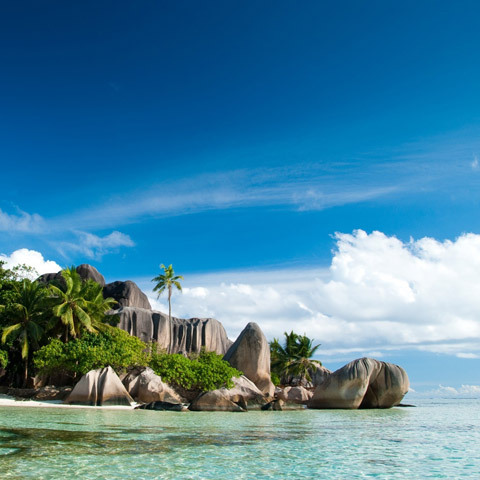 The iconic granite boulders that frame Anse Source d’Argent make this one of the most photogenic beaches in the world, and an afternoon of leisurely island-hopping can also include a dip in the warm turquoise waters of Anse Cocos before your sunset cruise back to North Island. This is a leisurely outing that helps you connect with the rhythms of a calmer way of life. Sailing time from North Island to La Digue is around 1 hr 15 mins each way, depending on sea conditions.